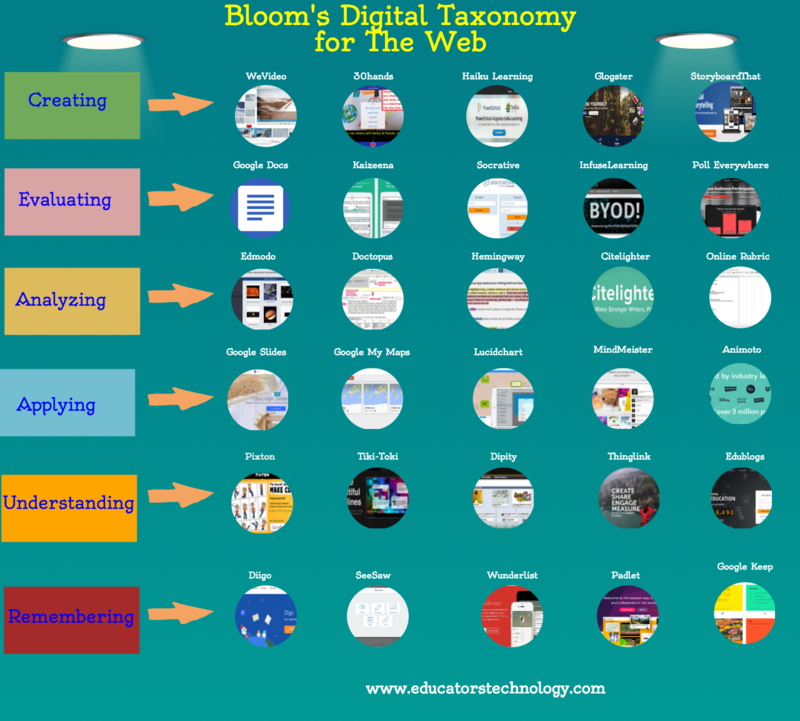 For those of you who haven’t seen it yet,here is a handy visual featuring what we think are some of the best educational web tools for Bloom’ taxonomy. For each of Bloom’s thinking levels we came up with a number of suggested tools that go with it. We have been very selective concerning the choices included and because of space constraints we excluded several other tools that worth the mention here. Also, the visual is not hyperlinked, check out the chart at the bottom of the page for links of the featured tools. For an iPad version of this graphic, click here.